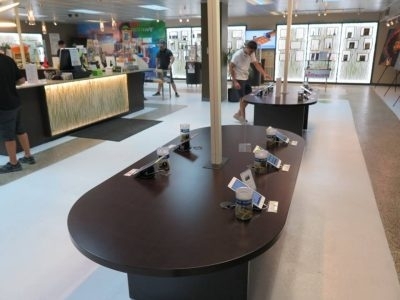 Our retail store features over 6,000 sq ft of floor space offering the most diverse cannabis strains, marijuana infused products, concentrates, pastries, topicals, smoking devices, art and apparel. Our knowledgeable and friendly team will guide you and educate you about our Marijuana products. It is the goal of our knowledgeable and trained staff to offer each customer guidance to choose the right strain or product to meet their needs. We believe when properly used cannabis can transform lives by helping manage illness, enhance appetite, control chronic pain and alleviate many other symptoms that illness may cause. We are committed to the philosophy of enabling our clients to maintain or improve their health and well being by using natural remedies. We are committed to helping improve the safety of our beloved 16 th St Mall by participating in community outreach and working with the Downtown Partnership to maintain safety, security and cleanliness. 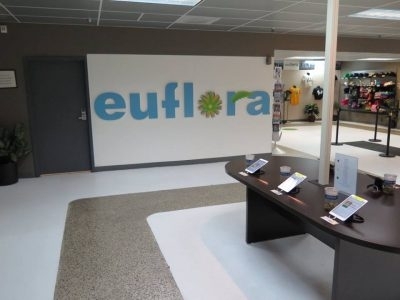 Education and Community participation are one of the biggest goals for Euflora to maintain a positive image. this store is amazing and the budtender recomended gogi og. it was great thank you! This place is great for tourists. But if you want to talk to a person about your medical needs this may not be the place to you because there are iPads where staff should be.